The debut solo release from Braden Lalancette, Let’s Have an Adventure, lives up to its name. But some of the adventures are a bit perilous. While Lalancette’s jam-informed, reggae-flecked EP is admirably ambitious, it sometimes suffers from the weight of its own lofty aims. Lalancette is the guitarist for local reggae-psych act Truman Coyote and was a member of the local high school jam band the Haps. Much like those heady ensembles, the young songwriter favors an unpredictable approach. EP opener “Red Moon” begins with shadowy guitar work that masks the tune’s otherwise bouncy acoustic jam. Lalancette’s watery vocals trickle into the foreground, and the song takes on a brooding atmospheric tone. That is, until the reggae breakdown, which attempts to coax the tune toward a brighter horizon. It’s a nice idea. But Lalancette’s execution is off. The same thin delivery that strengthened the opening movement has the opposite effect here and feels meek. Grating lapses in pitch further sour the finish. While the flaws on “Red Moon” are symptomatic of the EP’s larger issues, other tracks fare better. “Bones” is similarly schizophrenic, vacillating between guitar-driven post-rock and acoustic reggae. But the consistent shimmer of reverb-y guitar and ghostly harmonica promide a link between the song’s Jekyll-and-Hyde personality. Here there is, at least, a suggestion of some method to Lalancette’s meandering madness. His folly may simply be a product of youth. Lalancette is clearly influenced by a variety of sounds and styles. Far more experienced songwriters struggle to focus unwieldy ambition and inspiration. When you’re in love with everything, it can be hard to truly love one thing. But certain moments, such as on EP closer “Fields,” suggest that Lalancette may be close to finding his voice. More mountain ramble than island breeze, the song synthesizes his proclivity for haunting psychedelic sounds and is an imaginative, cohesive whole. If that tune is a sign of things to come, Braden Lalancette will indeed have worthy adventures in his future. 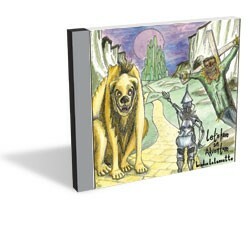 Let’s Have an Adventure by Braden Lalancette is available at bradenlalancette.bandcamp.com.